I’ve always been an iPhone fan, but I have to admit that Samsung’s Galaxy Note 4 and Note Edge intrigue me. It’s great to have a 5.5-inch screen—how can you take advantage of that much real estate? 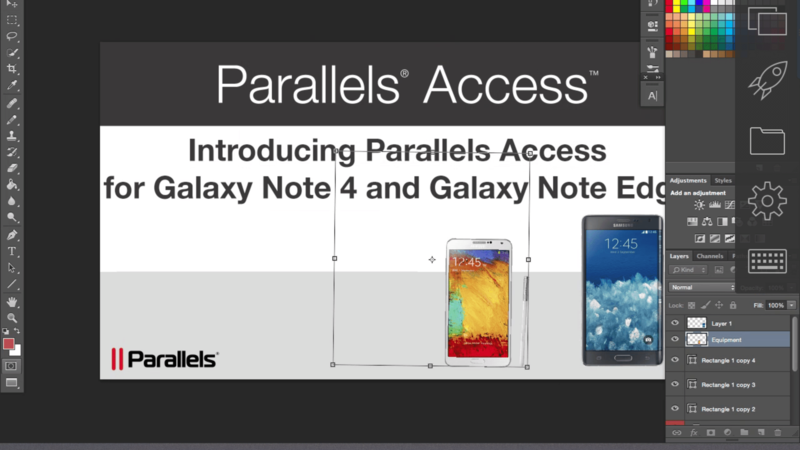 One way is with Parallels Access 2.5 for Android, which supports Samsung’s S Pen™. So I decided to give it a shot. Now when I’m on the go with my Galaxy Note, I can access the apps on my MacBook Pro, but with the added precision of the S Pen. 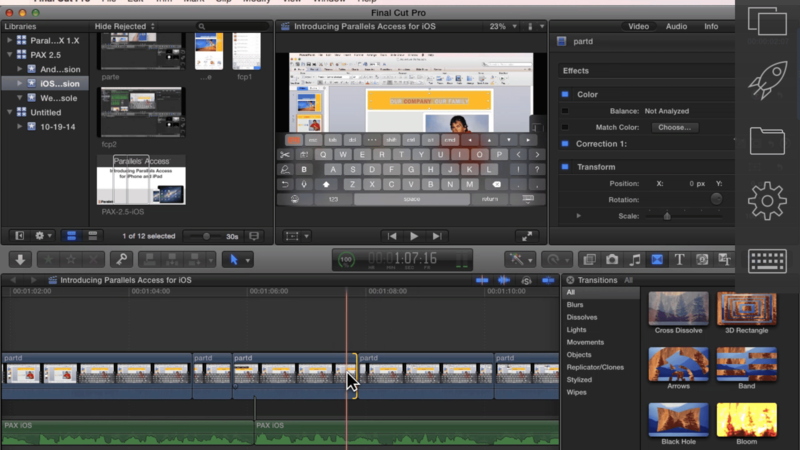 For example, one of the main ways I use my MacBook is to create videos for Parallels. These videos are typically a combination of live footage, screen grabs with text, and graphics. Using the S Pen, it’s easy to trim a clip and make adjustments to my project timeline based on the latest feedback on a draft. The precision I get makes it simple, and editing on the fly cuts down on work time when I’m back at the office. Not only can I adjust my timeline, but as I scrub and preview changes, the audio will play remotely right though the Galaxy Note. I can also make changes quickly to the intro and outro slates in Photoshop. Once I’ve dropped the updated intro slate back into the timeline, I can share my new draft on YouTube. Now it’s ready for a second round of reviews. The S Pen makes it effortless to move images around on the slate, along with resizing the images to fit perfectly. While I could do this with my finger, it wouldn’t work as well—after using the S Pen on the Galaxy Note 4, I wish Apple had something similar. If you have similar tasks to do or apps that require a lot of precision work, you might consider switching to a Samsung device with Parallels Access 2.5 just for the S Pen. And if you haven’t tried Parallels Access 2.5, I encourage you to give it a spin! If you have comments or questions on how I use Parallels Access, feel free to leave a comment below or reach out to the Parallels Access team on Facebook or Twitter.